In this class students will use copper and learn where to find unusual textures and patterns from everyday materials, some premade textures, and experiment with hammers for textures. Then we will have fun with a number of hot and cold prepared patinas, some variations with Liver of Sulphur, and a few chemical recipes for patinas. 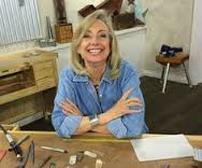 Lexi has a Master’s Degree in Jewelry Design and Fabrication and has taught jewelry on the high school/college/university level for 30 years. She has also taught internationally. Lexi is a Contributing Editor to the oldest Jewelry publication, Lapidary Journal Jewelry Artist, and writes a weekly column for the new Jewelry Making Daily. 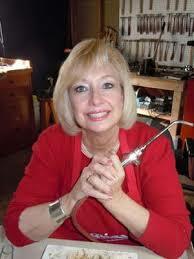 She's also President of Wubbers University, the largest free on-line jewelry school. Lexi has won numerous ribbon at fine art and craft festivals, sold in galleries for years and now does consulting for new artists just starting out and teaches in her own studio. Maximum ten students. All participants will be required to sign a waiver.